Have been putting effort towards finding missing and misplaced parts for our 71. 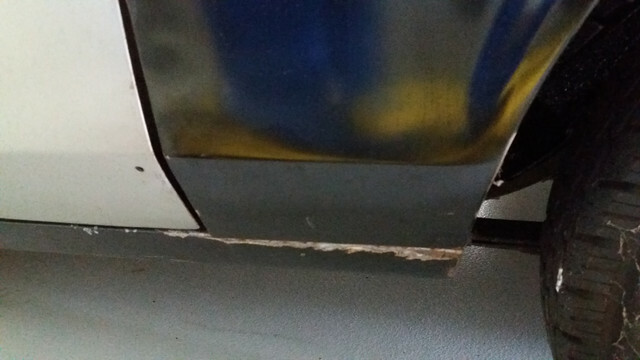 I do not know what the trim is called that goes here, but I found out I am missing this short piece on both sides. First, who has these I can acquire from? Second, repair, clean or refinish these. Anybody have a successful process? Ours are not dented, but they are most definitely used. Third, mounting clips and hardware? Suggestions more than welcome. Are you referring to the thin strips of molding pieces along the lower body line above the rocker or the thicker single piece of molding at the very bottom edge of the rocker? 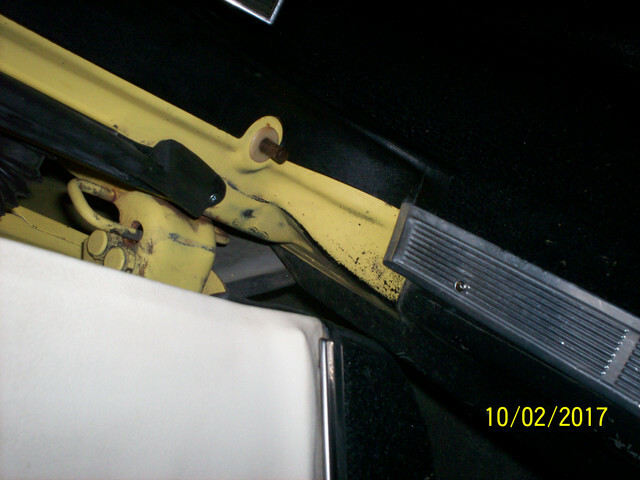 The thin molding strips were part of the Decor Group package which included painting the lower rockers a mat black. There were ten pieces. I have one section for behind the front wheel well. I think it is the left side. Its in okay shape. You can have it if you want it. (06-28-2018, 11:25 PM)rackerm Wrote: I have one. I think it is the left side. Its in okay shape. You can have it if you want it. That would make my season. PM me to work out the details, just phenomenal. That is not what I am looking for, those cover the rocker panel. What I am in search of is the skinny ones that go like 10" above those, they go on 71's at the point where the body color stops and the black starts. Not many cars have them on after restorations. 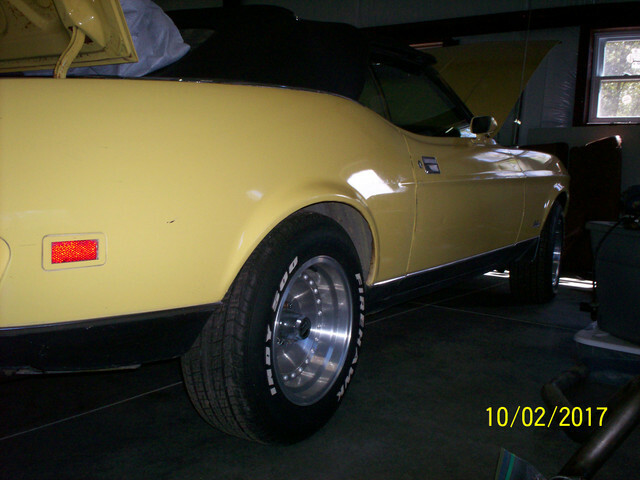 I have a set of the reproductions on my 71 Mach. 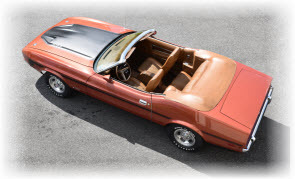 They were standard on the 71-72 Mach 1s, and any car ordered with the Exterior Decor group - unless a tape stripe was ordered. They're actually very common, just not common for them to be in good shape. There were quite a few cars made with it and any body style will work. 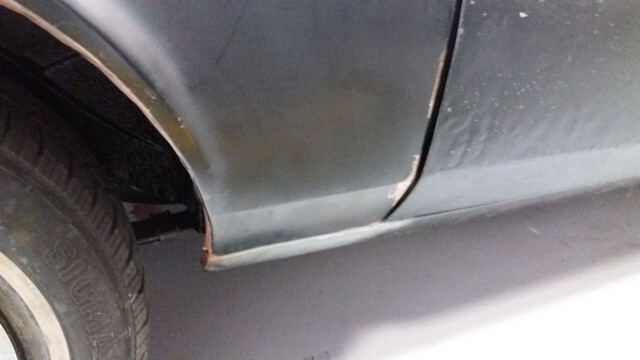 The 71 & 72 had a different piece in front of the front wheel they went in fender / front valance seam and 73 bolted on to align with bumper better. Looked in Marti's book for the numbers. 1972, 15,416 total cars but in fast back only Sprint models got the side trim. 1973, 8,975 total cars and Zero Fast back with the trim. I think they look great with the trim. It is a pain when doing body work to work around the studs. Most people cut the studs off do the body work and drill holes and mount the plastic molding clips with screws. There are screws on the ends of some and in the trunk area. I am not positive but I think Carpenter makes a repo. Here are some pictures of one of mine a 73 vert with the trim. The way the black was applied going around the car is sort of unique you need good pics of original to get it right. Inside the doors especially. You also will need the rear textured panel and the aluminum trim above and below it for the rear. Different from Mach 1 style just textured metal, also in pics. They do repo them but they make a run and they go fast. I forget which year they sell. They are roll formed aluminum so you have to strip the anodizing off polish and then clear coat them. 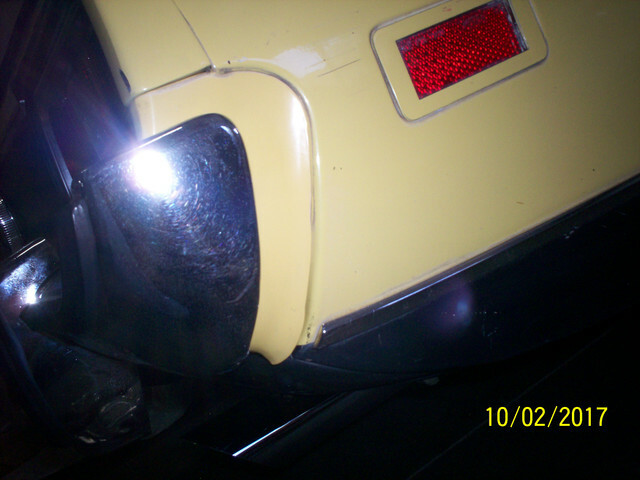 On the rear panels they black out a small place on the inside of each tail light so you do not see paint color there, see pic. This car is not painted correct in rear now I had to address the rust around the tail light seals and just sprayed flat black for now should be body color around the lights. This is just a driver car not a restore. 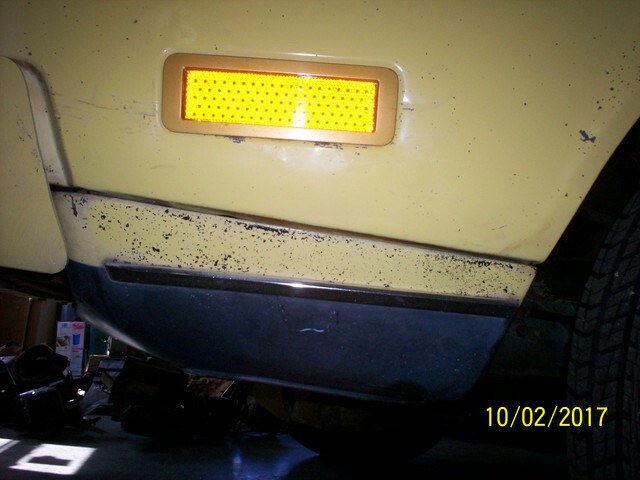 BTW the black was sprayed before the color at the factory this is an original paint car. Just to add to the earlier posts.... If your car came with the hockey stick side stripe then the chrome rocker trim was deleted and a pin strip was applied instead. Interesting note: Is that Ford after painting the blackout or argent and body color, then applied a 3/4" stripe. The 3/4" stripe over the merged paint line between the lower paint, and the upper body color. The lower color was sprayed on the car first, then maybe covered/masked over quickly, then the body color was sprayed. The wide (3/4") bottom section of the lower stripe went over the lower body paint merge line to give it a clean straight edge. You can find all the detail on the 429 Megasite, use the link provided by Hemikiller in an earlier post.